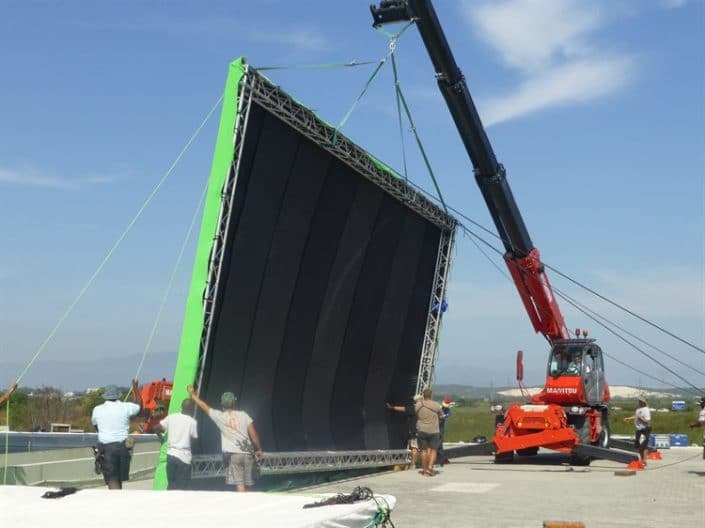 Green screens and shade screens are an essential part of just about any movie shoot, and what better way to lift and move them than using a mobile crane telehandler. 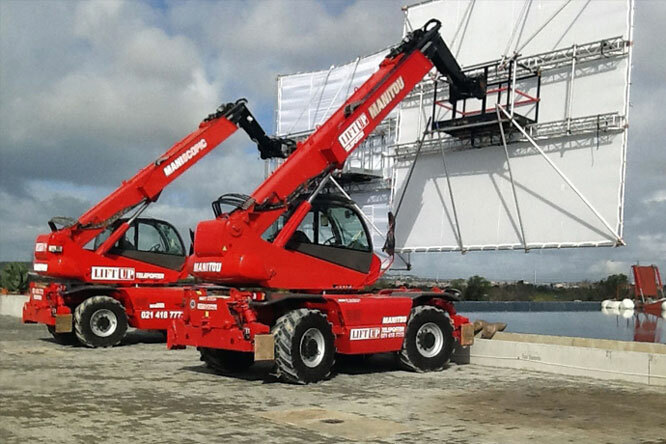 Our cranes can lift up to 30 metres high and carry loads up to 5 tons. 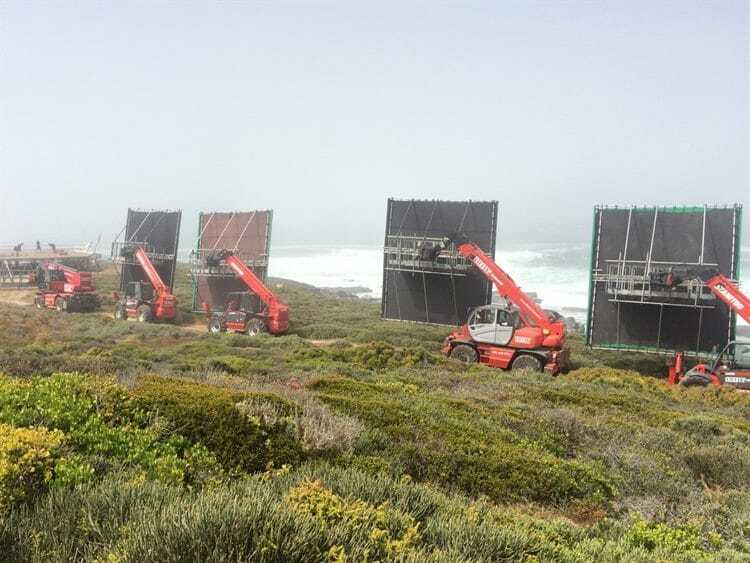 On top of that they are very mobile and can easily take up position on rough terrain for outdoor film shoots. 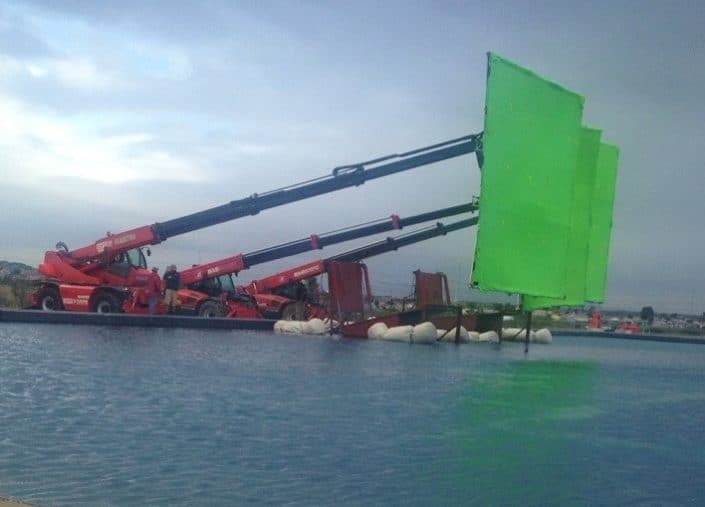 Why build scaffolding for carrying cameras and screens when you can just attach your movie equipment to a mobile crane and drive it around the set? 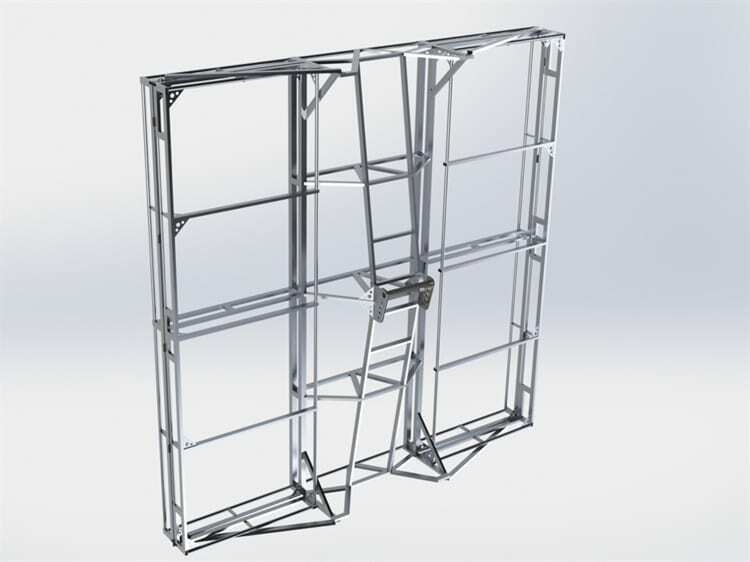 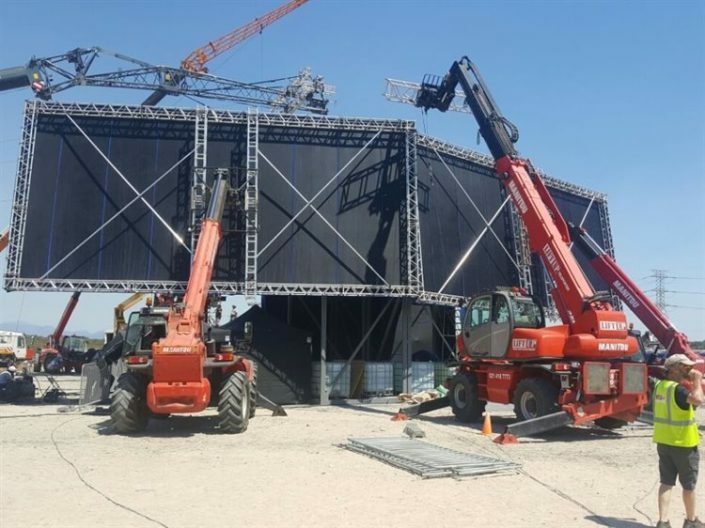 Cherrypickers and scissor lifts can lift small screens, but they really don’t cut it when it comes to lifting massive screens like you’ll see in the photos below. 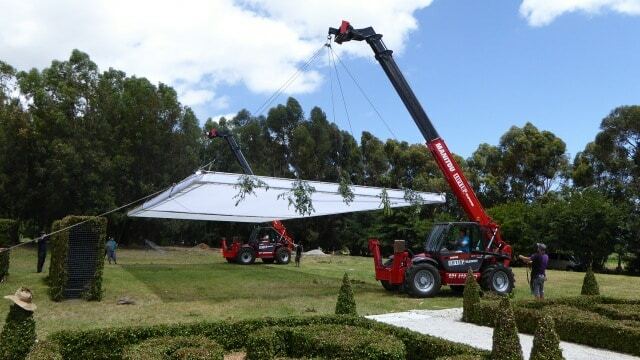 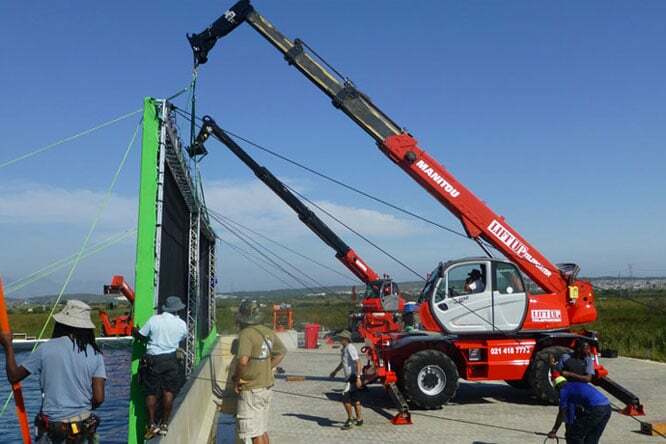 These are just a few examples of the many times our telehandlers have been called on to carry green screens and shade screens in the Cape Town film industry. 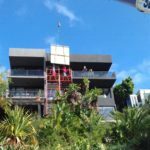 At Liftup Cape Town we have built a strong reputation in the local film industry for our knowledge and experience in the uses of telehandler mobile cranes on film sets. 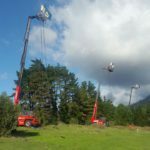 We can also design and construct crane attachments for any special lifting you need on your set. 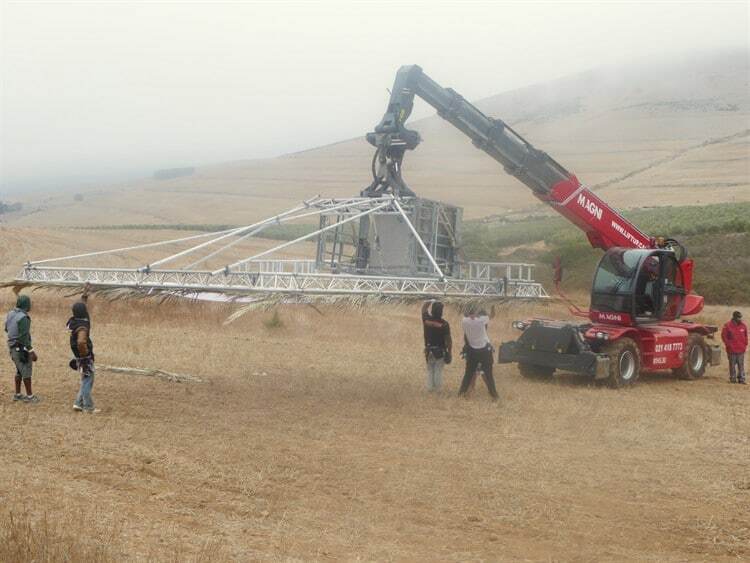 Read more about the uses of mobile cranes on movie and theatre sets.